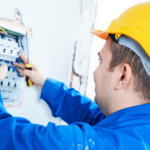 Why should you have an Electrical Inspection? Electrical Inspections are recommended to ensure your home or business’s wiring and other electrical components are in good working order and do not pose a hazard to yourself, your family or employees. Knowing exactly when an electrical inspection is needed will help you to have it booked in advance or when the time comes. Here are some examples of times when an inspection is needed. If you’re keen to make an offer on a new home we recommend your purchase is subject to an electrical inspection. It is important to identify any dangerous electrical situations that may be very expensive to repair once the property has been purchased. An electrical inspection can also help you negotiate a lower price if you find any property faults. It is also possible to include the electrical inspection in the overall pre-purchase property inspection report (or building inspection), which will cover things like plumbing, heating, kitchen appliances, fire safety, foundations and more – but you should check that this is the case. If your building inspection does not cover electrical aspects, it is recommended that you employ an electrician to look at the wiring, test the outlets, check the power box, look at smoke alarms and test the voltages coming in. If your home is over 25 years old you may have been experiencing electrical problems like regular power outages or tripped circuit breakers and having an electrical inspection will identify any electrical safety problems or deficiencies, reducing risk of electrical fires and keeping your family safe. Storm damage and flooding can severely impact on the electricity in your home. Any faults with the electricity that may have been caused by a storm can pose a huge risk to your safety. It’s important to organise an electrical inspection if your house has been affected by major storm damage. Keep up regular maintenance to ensure that your appliances, fittings, electrical wiring, earthing connections and switchboard are all in good working order – especially if your property is over 25 years old. If you ever suspect a problem, always contact a licensed electrician to inspect and test the homes electrics. If you have had any new electrical installs done on the property, you will receive a uniquely numbered ‘Electrical Compliance Certificate’ as proof that the work has been tested and checked, ensuring it complies with the regulations. Install safety switches: If you haven’t already done so, seriously consider installing a Residual Current Device (RCD). 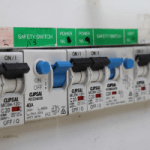 RCD’s, also known as safety switches, monitor current flow and protect you from faulty wiring and appliances by providing a fast power cut in problem situations. 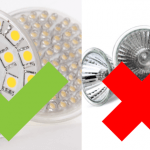 As electrical hazards are often hard to identify, RCD’s are crucial devices that can protect you and your family from against hidden dangers, serious injuries or death. Contact your landlord immediately if there are any electrical problems. If you rent your property, report any electrical issues to your real estate agent or landlord immediately. 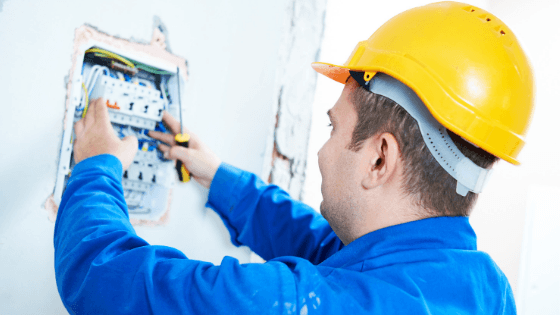 Electrical repairs should be considered a priority as landlords are legally obliged to ensure all electrical fittings and installations are properly maintained and kept in safe working order. Follow these steps and always err on the side of caution when it comes to electricity, as a delayed inspection can have hazardous consequences. Remember, an electrical inspection should always be conducted by a qualified and experienced electrician. If you ever have any questions regarding when you should have an electrical inspection conducted on your property, don’t hesitate to call us and speak to a licensed electrician for advice. Phone George on 0408 950 338 or complete the form below and we will be in touch. Good, reliable, says will turn up and does. Well priced too. Thank you again for attending so quickly. Great company, reliable, well priced and easy to deal with. Thank you guys, for a wonderful service. George has a great team who are all experienced , turn up on time and cost effective. Thanks for the work done again. Looks great. Highly recommended. See you next time. Great service! Wonderful and friendly staff. The team at Bara are always contactable and always do a great job! Love the whole team at Bara Electrical - couldn't recommend them enough! Excellent service, great guys, reasonable prices. Happy to recommend Bara Electrical to my Friends. Fast, Friendly and Clean. Super efficient team. Extremely experienced and helpful. Very friendly service! Super helpful in a time of need! Thanks for your help! Will remember to call again if I ever need a sparky again! 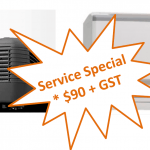 Exceptional and affordable service. Lovely, competent staff. Excellent Service! Very efficient and high standard of work. Very competitive rates. Highly appreciate the job done and highly recommend people looking for good sparky and services. 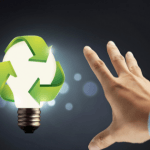 How RCD’s Keep You Safe? Would recommend Bara Electrical without hesitation. We have been using Bara for all our electrical needs for years now and they have never skipped a beat. They are up to date with all the legislation, advising us of any requirements in our properties when we send them out for a job. Friendly, efficient service, anytime we need them. George I just wanted to say thank you for all the outstanding work that you and your team have done at my workshop, the new LED lights are awesome and the extra power points have made things a lot easier, you were on budget and on time with no surprises, awesome effort guys and very much appreciated, absolutely outstanding service. Working with George, Rohan and the Bara team is a great experience! Quick, professional and with no stress. Thanks guys! George from Bara Electrical and Services was fantastic. We had an issue with a crackling power point on a Saturday, I called George after calling 4 other electricians with no luck/call back. George called me back within about a minute of me leaving a voicemail message, said he'd be about an hour but turned up within 45 minutes which was fantastic - I was just pumped to have received a call back 👍 I also received a text message to say he was 20 minutes away. George was really fast in finding the issue and changing out the power point. Will definitely call Bara Electrical and Services again should we need anything else, great service all round. What a fantastic and lovely bunch of guys that helped me out. Price was also very fair. Would recommend Bara Electrical to anyone that wants a good old fashion service. Copyright © Bara Electrical 2018. All Rights Reserved.